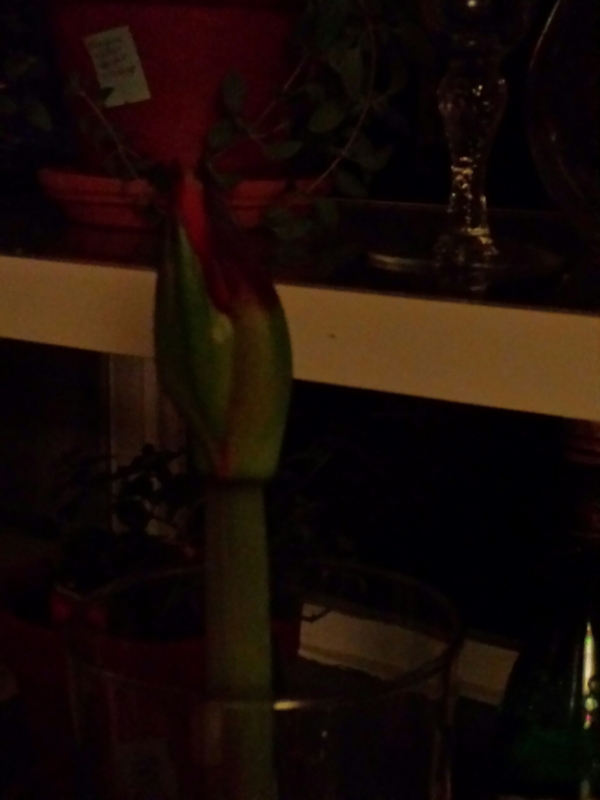 Amaryllis Blooming in February 2015! And…all of my new herb garden. 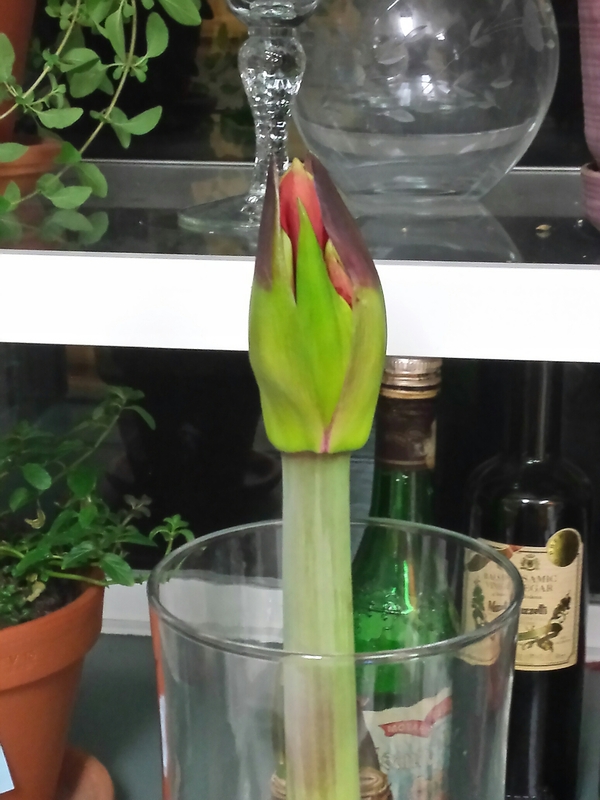 Check out all the little blue stickies telling me when to water…LOL! The stickies are a good idea – I tend to use the ‘little finger’ technique, and then wipe my finger down my shirt, tut! 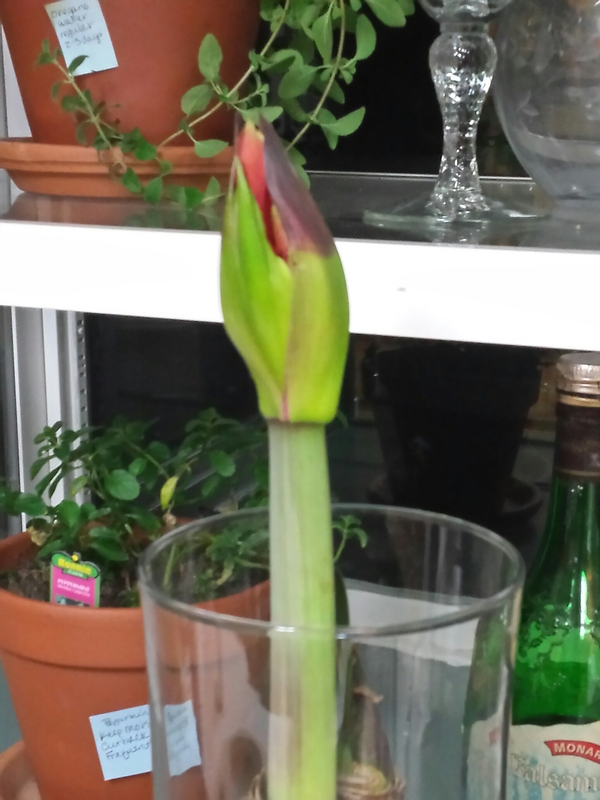 I’m looking forward to the full ‘out’ of your amaryllis.